Was jigging for tambans (which were in low numbers), when suddenly hit a school of trevally!! 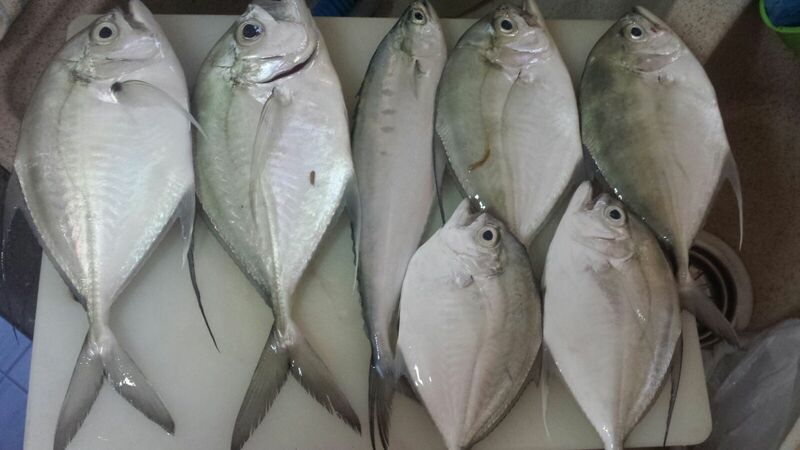 Looks like longfin trevally, 1 bumpnose and 1 queenie. murasame wrote: Cool! Ive never hit a school before, where are they from? I've heard of schools swimming around bedok jetty too though! It's lucky to hit a school like this but they don't often hang around very long along shoreline unless there's a concentrated source of food there. I often wish I can have an additional set of heavier tamban jig setup on standby for such encounter but it doesn't seem very practical. Peace wrote: It's lucky to hit a school like this but they don't often hang around very long along shoreline unless there's a concentrated source of food there. I often wish I can have an additional set of heavier tamban jig setup on standby for such encounter but it doesn't seem very practical. 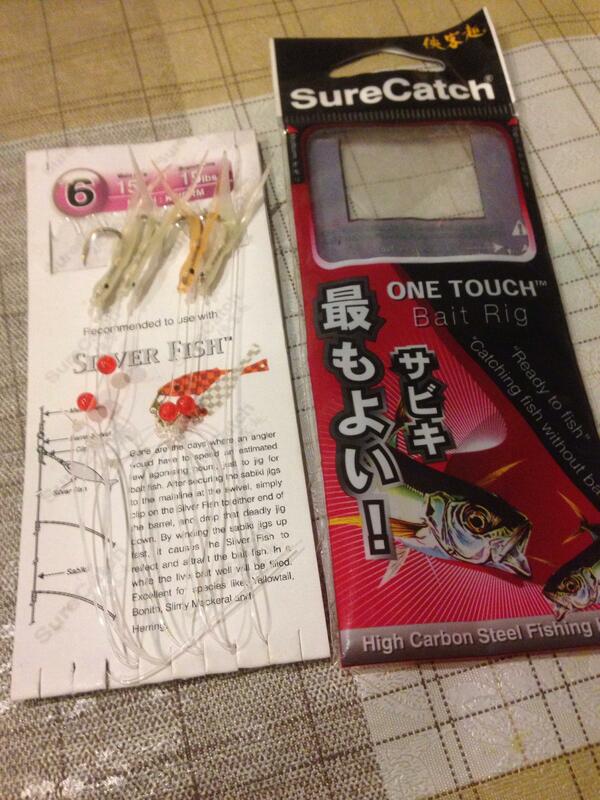 You can try surecatch Kworm model size 6, they're quite effective for fishing sagais. For general hook size, I'd go size 8 at least. 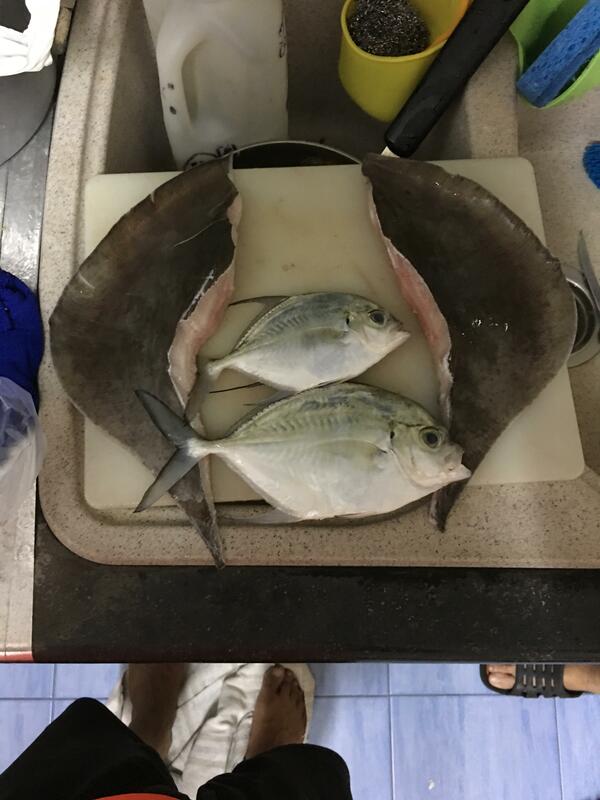 Congrats on landing the ray, your spot seems very productive! Is there a way to work this for sagai and is bait required? Hmm I'm not too sure but I prefer using the white and green sure catch ones, they're more effective at catching tambans and kuning (which I'll be catching a majority of the time), and catching Sagai as more of a bycatch. 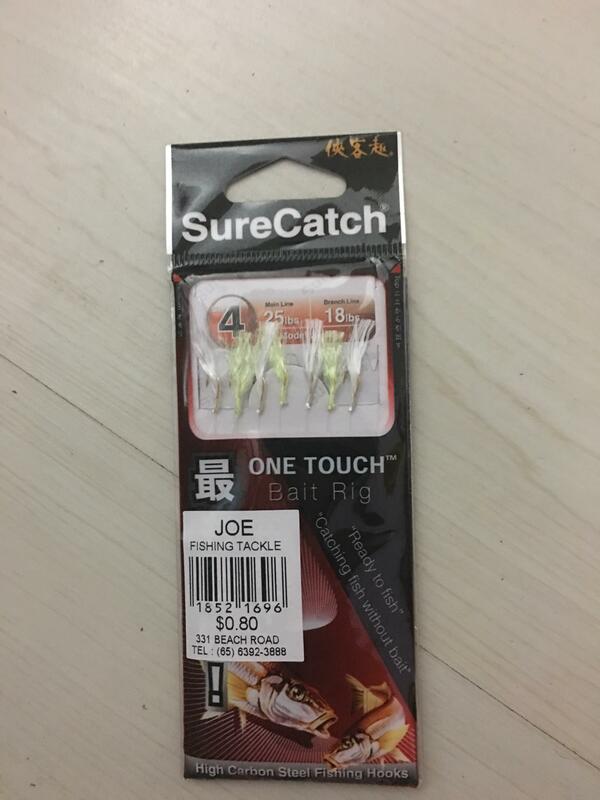 Without any baits on the hooks?? murasame wrote: Without any baits on the hooks?? Yes, that's the kworm but only useful for sagai and larger selahs. For Tamban, you should stick to the feathered jigs. Your kworm jig can still work with lesser hooks, you can reattach some feathered hooks to it for a mix. But still the best bait for sagai is still those small shrimps (hae beoh).